Main Material: High quality bridal satin / voile / taffeta / organza / lace / tulle / net / chiffon / silk etc. Neck line(neck circumference). Arm length(from shoulder point to wrist) =. Closure at back: Lace up or zipper back. 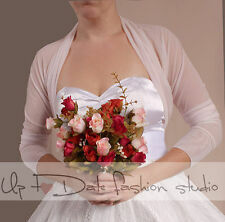 Main Material: High quality bridal satin / voile / taffeta / organza / lace / tulle / net / chiffon / silk etc. Closure at back: Lace up or zipper back. Arm length(from shoulder point to wrist) =. Neck line(neck circumference) =. 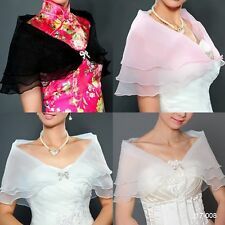 1: If you want the dress, it will be not include any accessories such as gloves, wedding veil and the crinoline petticoat ( show on the pictures). Wedding Jackets. Color =___. 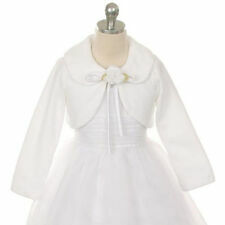 We will do our the best to make you the best dress and provide you the best service. Reward Policy Due to the difference between different monitors, the picture may not reflect the actual color of the item. Hollow to Floor. Plus Size Chart. 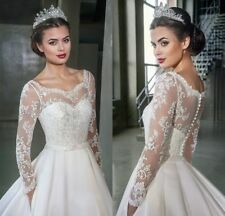 1: If you want the dress, it will be not include any accessories such as gloves, wedding veil and the crinoline petticoat ( show on the pictures). Wedding Jackets. Arm length= ___. Sleeve length you want= ___. 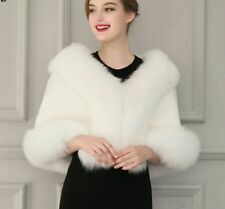 White Ivory Wedding Jackets Capes Lace Sheer Chiffon Bridal Boleros Custom 2018. Main Material: High quality bridal satin / voile / taffeta / organza / lace / tulle / net / chiffon / silk etc. Closure at back: Lace up or zipper back. Main Material: High quality bridal satin / voile / taffeta / organza / lace / tulle / net / chiffon / silk etc. Closure at back: Lace up or zipper back. Neck line(neck circumference) =. Available Colors: Any color in my color chart. Main Material: High quality bridal satin / voile / taffeta / organza / lace / tulle / net / chiffon / silk etc. Closure at back: Lace up or zipper back. Arm length(from shoulder point to wrist) =. Color and Decoration Color=. Origin: China. We do believe 'Communication leads to the way of success'. We will reply within 24 hours. Once the dress is received back. I'm willing to help you. Decoration: Lace. Color: White/Ivory/Black. We will give you a satisfactory answer within 24 hours. Color: White and Ivory. We will give you a satisfactory answer within 24 hours. 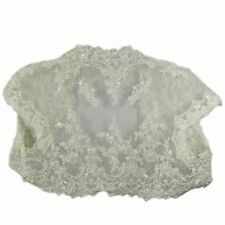 Fabric : Tulle, Lace. Color: White. Size: One Size. We will give you a satisfactory answer within 24 hours. 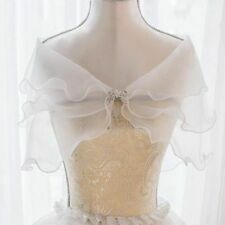 1: If you want the dress, it will be not include any accessories such as gloves, wedding veil and the crinoline petticoat ( show on the pictures). Wedding Jackets. We will do our the best to make you the best dress and provide you the best service. Main Material: High quality bridal satin / voile / taffeta / organza / lace / tulle / net / chiffon / silk etc. to us, we will make it for you! Maybe you have own like, you can send your own pictures. We will give you a satisfactory answer within 24 hours. 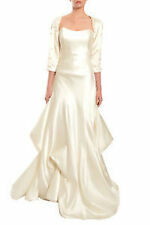 Main Material: High quality bridal satin / voile / taffeta / organza / lace / tulle / net / chiffon / silk etc. Closure at back: Lace up or zipper back. Arm length(from shoulder point to wrist) =. Available Colors: Any color in my color chart. Main Material: High quality bridal satin / voile / taffeta / organza / lace / tulle / net / chiffon / silk etc. Neck line(neck circumference) =. Maybe you have own like, you can send your own pictures. Main Material: High quality bridal satin / voile / taffeta / organza / lace / tulle / net / chiffon / silk etc. Arm length(from shoulder point to wrist) =. Closure at back: Lace up or zipper back. Neck line(neck circumference). Color: White. We will give you a satisfactory answer within 24 hours.